Lovely Sick Call Set. 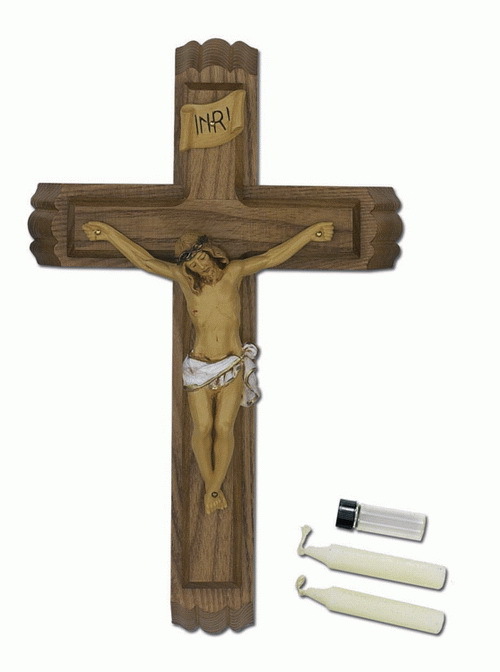 Front part slides up to reveal 2 candles and a small glass holy water bottle inside. Perfect for weddings, retirements, or anniversaries, this elegant Sick Call Set is made of rich walnut wood and measures 13 inches. The corpus is made of resin with painted details.